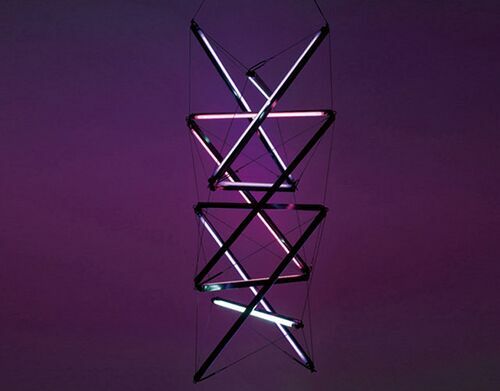 Read here about James Clar, an artist active in creating tensegrity structures. 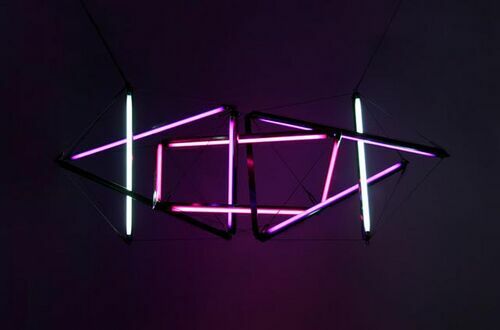 James Clar is a media artist focusing on the visual arts, whose work often controls and manipulates light - the common intersection of all visual mediums. James Clar lives and works between New York and Dubai. In the past, Clar was an artist in residence at Eyebeam Atelier in New York, Fabrica in Italy, and the FedEx Institute of Technology/Lantana Projects in Memphis. His artwork has been included in the Chanel Mobile Art exhibition (Tokyo), The New Museum of Contemporary Arts (New York), The Chelsea Art Museum (New York), The Somerset House (UK), Museum on Seam (Jerusalem), and Louis Vuitton Gallery (Hong Kong). 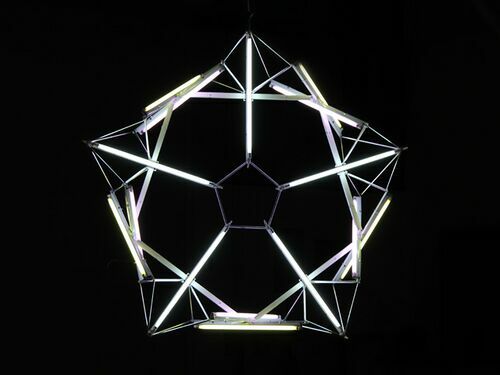 Clar has created a number of sculptures involving tensegrity structured arrangements of fluorescent light fixtures. 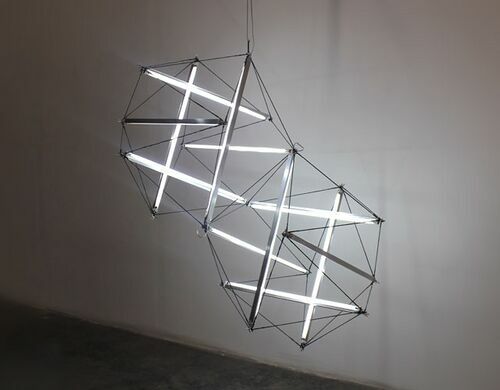 In the chandelier series, James Clar had two tensegrity forms: a dual 6-strut construction, and a 20-strut construction. 2 x 6 Strut tensegrities formed from fluorescent tubes and wire. By James Clar. 20 strut tensegrity formed from fluorescent tubes and wire. By James Clar. 20 strut tensegrity formed from fluorescent tubes and wire. Side view. By James Clar. 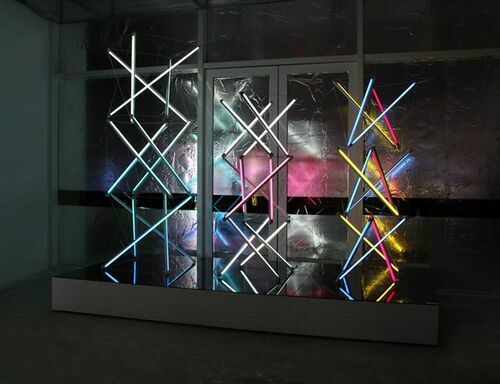 Hanging Tensile Structure of varying lengths by James Clar. Cubic Zirconia is the title of a 17 strut tensegrity construction. Cubic Zirconia, 17 struts. 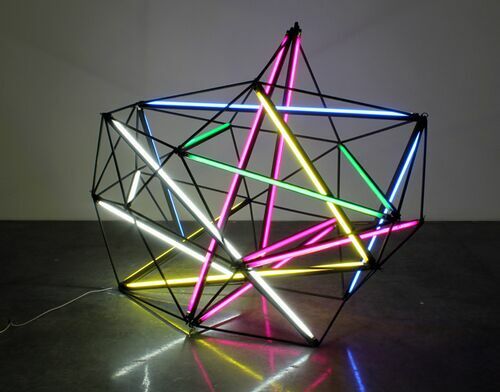 By James Clar. 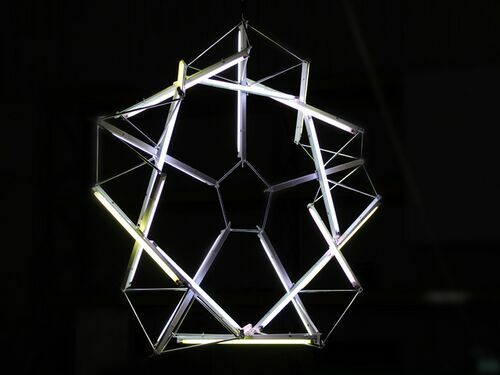 6 strut tensile sphere by James Clar. Clar displayed three masts, each consisting of three 4-strut modules. Each mast featured different colored bulbs, with the modules stacked in different ways. 3 Masts standing side by side, Strut tensegrities formed from fluorescent tubes and wire. 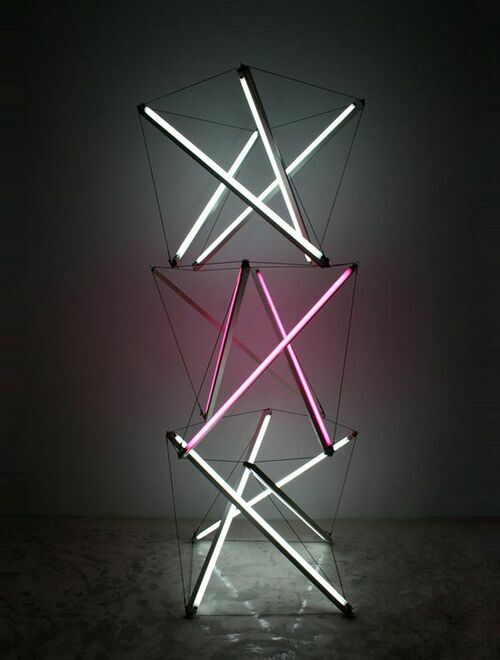 By James Clar. 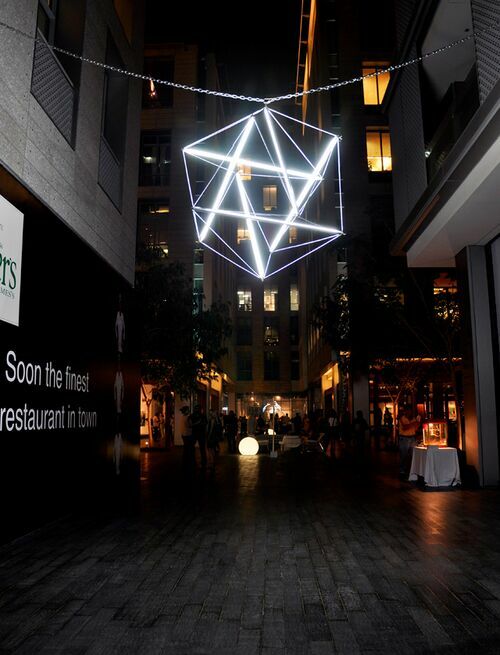 Explore other tensegrity-structured lighting fixtures. This page was last edited on 19 November 2018, at 16:24.